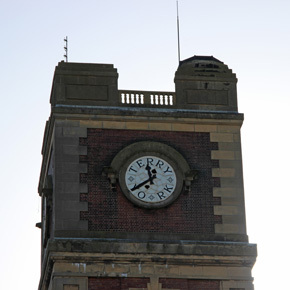 A prestigious residential development on the site of the former Terry’s Chocolate factory has specified Vortice’s range of intermittent extractor fans. 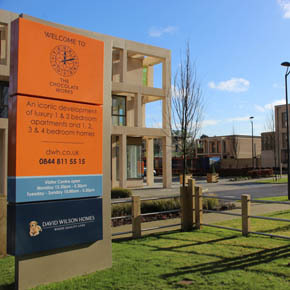 The site comprises 1 to 4 bedroomed homes and apartments minutes away from York racecourse. David Wilson, who has recently been named ‘House Builder of the Year’ at the Yorkshire Residential Property Awards, is installed the Vort Quadro and Punto Filo ranges of ventilation products from Vortice. Both ranges are energy efficient, unobtrusive and modern in their design. The Punto Filo model is best suited to mount directly through a wall whilst the Vort Quadro is ideal to be ducted to a roof tile. The fans are also easily maintained, with the Vort Quadro featuring an easily removable washable filter. Roy Brown, Area Business Manager, commented: “We want to show housebuilders that we can offer a project managed service at Vortice.